ALL THE “ESSENTIALS” plus these! Are you looking for Enterprise Class support for your Home? It’s finally here, the ultimate packages for your personal home use. 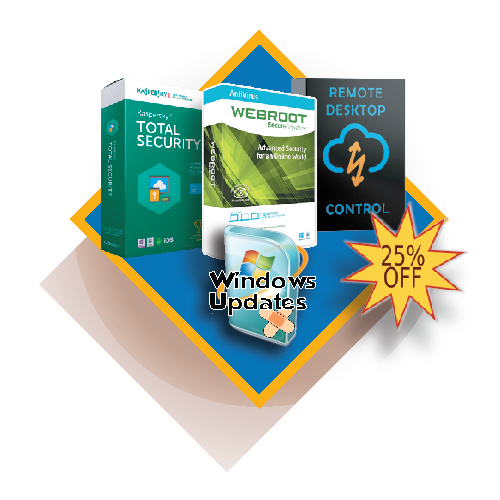 This is perfect for anyone that wants total protection such as Anti-Virus, Anti-Malware, LogMeIn Remote Control, and Online or Local Backups. This is becoming one of our most popular offerings for all “Walk-In / Over-The-Counter” clients that want a custom managed services offering for their home or micro business environment. Remote Control is ready for action, to allow immediate help once you request it. 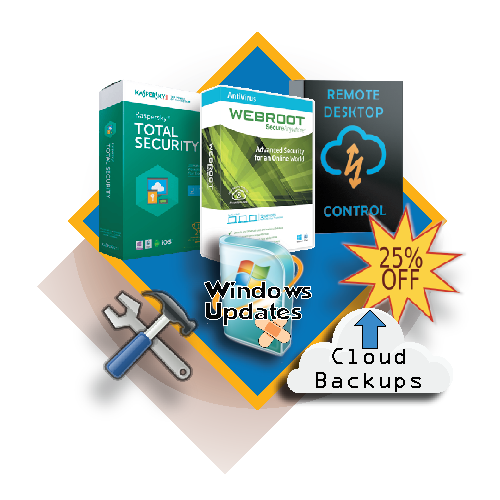 Get 25% off any remote repair services in case you might need it. Full Commercial retail quality software, NO Freeware here! One of the Best Anti-Malware Scanners around. Made Specially for Home Users like You! Ready to Try Home Edition? If you prefer, just download our form and fax or email the form back to us. Come in and Visit! or Sign up in person.